Add Black around the jug to make the bright, highlighted edges stand out. The rest will be filled in later. These edges are very important to this drawing, so take care not to lose them as you layer the drawing. Build up the colors from step 2 using the burnishing technique so they cover the paper more completely. 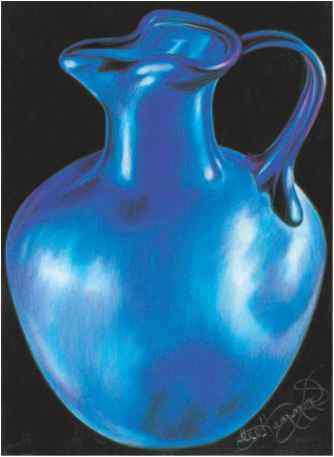 Deepen the darker areas of the jug with Violet Blue using a heavier application when applying the color. Also go over the areas of True Blue to deepen them using heavy pressure on the pencil. Apply a small amount of Process Red to the edges and rims to create a subtle hint of reddish reflection in the glass. 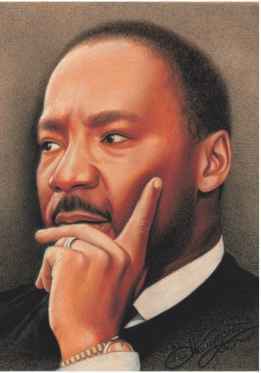 Easy Step-By-Step Lessons How Would You Like To Teach Yourself Some Of The Powerful Basic Techniques Of Pencil Drawing With Our Step-by-Step Tutorial. 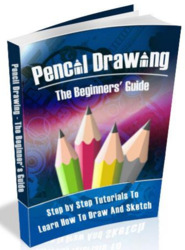 Learn the ABC of Pencil Drawing From the Experts.